From around 2,000 in 2002 to roughly 13,000 in 2015, according to data from the Centers for Disease Control and Prevention. 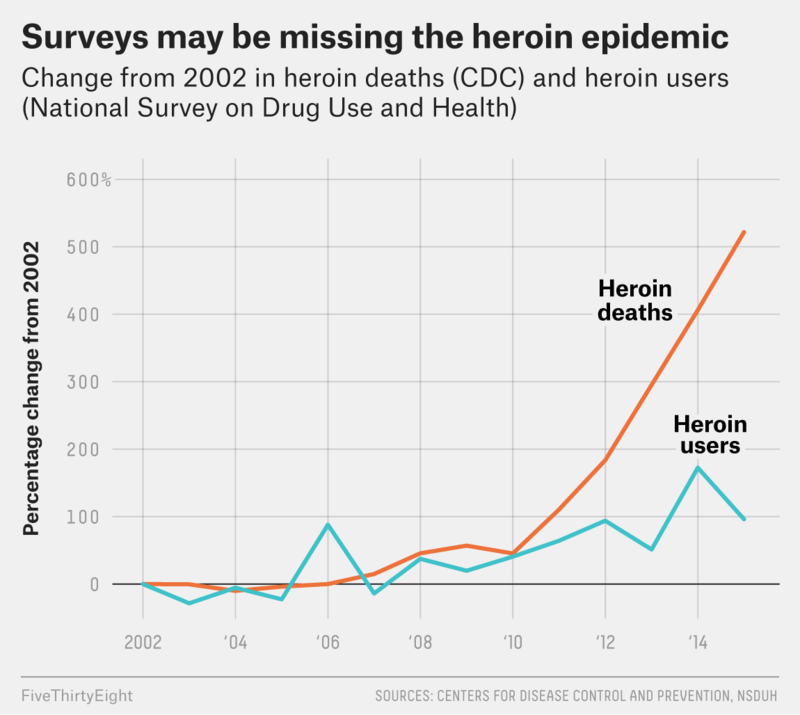 Data collected and analyzed by The New York Times suggests that deaths from all drug overdoses, not just heroin, could have risen to 65,000 in 2016. The Substance Abuse and Mental Health Services Administration defines “current users” as those who have used heroin in the past month.